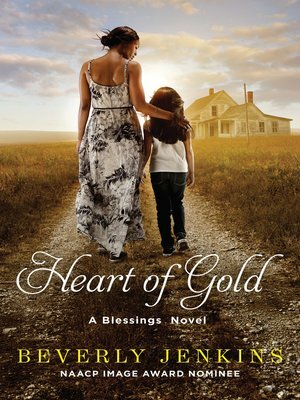 NAACP nominee and bestselling author Beverly Jenkins returns to the charming town of Henry Adams, Kansas—a place that always feels like home—in this heartwarming story of family, friendship, and the surprises hidden in our lives. Henry Adams has had its fair share of drama ever since Bernadine Brown bought the town with her divorce settlement. Now just when things are starting to settle down, it's about to get crazy again . . .
Cephas Patterson doesn't just want to be left alone—if you dare step onto his property, he'll meet you with a shotgun and a warning to stay away from his gold. He reminds Zoey of the lonely time she spent living on the streets, so she quietly begins leaving him small offerings. But then Cephas dies and leaves a saddlebag of gold—to Zoey. And that's not all. Zoey's parents are going through a trial separation, her former BFF Devon is giving her fits, and friend Crystal has run away from home. Then there's Bernadine's mean-spirited baby sister who has arrived unexpectedly, and an ongoing battle with a neighboring town is about to heat up.